Remember Julie MacDonald? If you'll recall, MacDonald, who once served as the Deputy Assistant Interior Secretary, left the agency under a cloud in May after news of her inappropriate meddling in endangered species issues came out. An investigation by the Interior Department Office of Inspector General revealed that she had "interfered" with scientific decisions - despite lacking a "formal background in natural science" - in ways that would favor industry and lead to less protection for at risk species. Wildlife regulators are now set to revise seven decisions on endangered species and critical habitats that MacDonald made during her tenure. 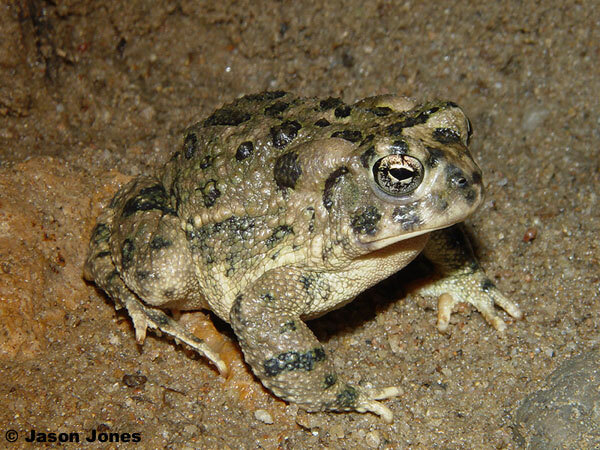 The California arroyo toad (seen above), Canada lynx and red-legged frog are three of the species that could soon regain protection under the Endangered Species Act, according to Rep. Nick J. Rahall II (D-W.Va.), the Chairman of the House Natural Resources Committee. "This announcement is the latest illustration of the depth of incompetence at the highest levels of management within the Interior Department and breadth of this administration's penchant for torpedoing science," said Rahall in a released statement. Kieran Suckling, the policy director for the Center for Biological Diversity, is not stopping there, however. Calling the Fish and Wildlife Service's decision to reverse some of its past actions "nothing more than cynical damage control," he has filed suit in half a dozen federal district courts to overturn other decisions made under MacDonald's tenure that affected 55 species. As Francesca Grifo of the Union of Concerned Scientists remarked, it'll take a lot more than this to clean up the dismal mess made by the agency: "[The agency's acknowledgment of seven instances of wrongdoing] 'does not begin to plumb the depths of what's wrong."